Evan Gulbis heads off after a brilliant 130 for Carlton today. He followed up with 6-45 with the ball! Carlton and Geelong will play off in next week's Premier Final at the Junction Oval after beating Essendon and Fitzroy Doncaster respectively today in their Preliminary Finals. It will be the first time Carlton and Geelong have played off for the CV title. The Blues have won eight premierships, the last in 1980-81 despite appearing in 12 of the past 13 finals series. The Cats have appeared in nine finals series since entering CV ranks in 1993-94, with a best finish of runners-up in 2007-08. Geelong's massive 8/421 proved too many for Fitzroy Doncaster, who were dismissed for 240. Brody Couch (5/44) and Brenton McDonald (3/70) were the heroes with the ball for the Cats. The Lions' chase held some promise at 4/223, but the wickets tumbled thereafter, the last six falling for just 17. Carlton batted on for a further 23.3 overs at Princes Park, lifting the total to 257. Skipper Evan Gulbis played a superb innings for his side with 130 (198 balls, 10 fours, 2 sixes), his 16th Premier hundred and 15th for Carlton. The Essendon reply got off to a shaky start, with the big wickets of James Seymour and Aaron Ayre falling early at 3/31. But Michael Hill (51), Isaac Willett (30) and Clint McKay (36) providing useful knocks. For the Blues it was that man Gulbis (5/43) who did the damage to place an indelible mark on the match. In the Seconds, Melbourne Uni won a nail-biter against St Kilda at the Albert Ground. The Students' last pair Abdul Haseeb and Daniel Van Der Merwe added the three runs required for the last wicket to go past the Saints' 228. It was Uni's third Second XI premiership. 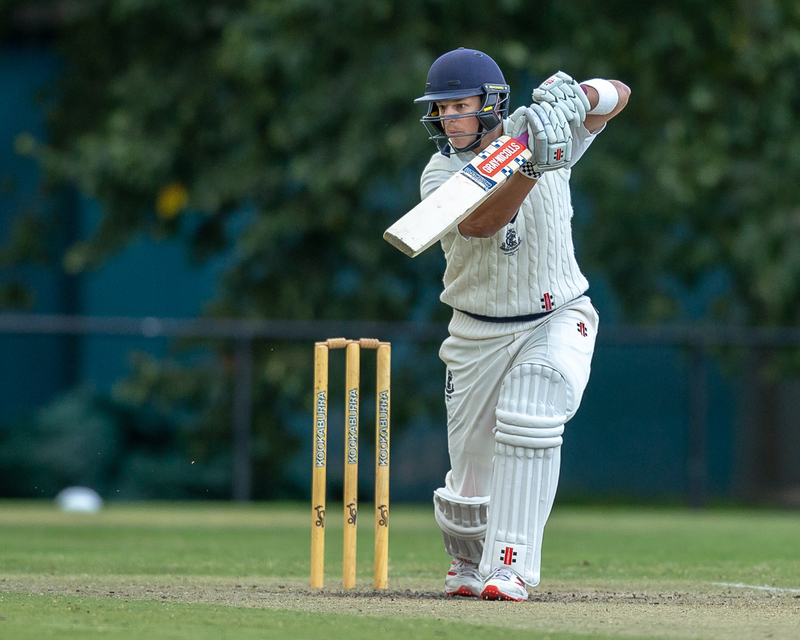 In the Thirds Melbourne Uni proved too good for Footscray at Merv Hughes Oval, with Andrew Young (104 off 91 balls, 13 fours, 1 six) the star with the bat for the Students. It is the first time that Melbourne Uni has won two flags in the one season and the club's fifth Third XI flag. In the Fourths at Windy Hill, Carlton (6/190) hung on for a draw against Essendon (6/223 dec), which was enough to claim the premiership due to the Blues' higher finish. It was Carlton's second Fourth XI title.